We all came into existence not because we chose to be, but we were brought into this world by our mother. Our circumstances vary and the upbringings were also very different. As we grew up, we were exposed to the environment in which we were raised. The environment contributed to who we are and our values were inherited from the adults and other people who influenced us. Must our upbringing define us? I know I’m treading in a tricky topic, but I’m going out on a limb here. I’m of the opinion that our background and upbringing can help influence and shape us, but once we learn how to discern right from wrong, we are able to make decisions that help us achieve the dream. 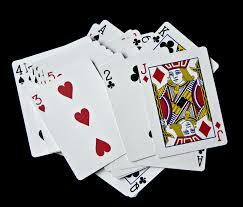 Voltaire’s quote comes to mind, “Each player must accept the cards life deals him or her. But once they are in hand, he or she alone must decide how to play the cards in order to win the game.” I agree with Voltaire that you need to play with the cards that you are dealt with and make the most of it. My father was born in a family of five children. He was the eldest. Growing up, my grandfather was never around for his family and my father had to work at an early age to help his mother. My father became the sole provider of his family. Imagine having to work when you’re eleven or twelve years old and being responsible for your family. When I asked my father why he did it, he said the need to help his family was a far greater cause that anything else. When my father was 17 years old, he travelled to the Philippines to work in a hardware store and saved all his money to send to his family. He spent the next 10 years doing the same thing day in and day out while also saving money to open his own convenience store. As I reflect on what my father accomplished, I can’t help but remember Benjamin Franklin’s quote, “Energy and persistence conquer all things.” My father’s laser-sharp focus enabled him to achieve his goal and create a future for us. He willed it and persevered each day. He kept his focus no matter how long it took. As Tony Robbins says, “The past does not equal the future.” That is truly possible if you want to change something in your life and proceed to make it happen. My father inspired me to push myself outside my comfort zone. He encouraged me to strive to do my best regardless of my intellectual capabilities. He insisted that I be diligent in everything I do. It taught me hard work is the key to my success. While I still have a long ways to go to achieve my dream, I know that we are all blessed with the same 24 hours each day. What we do with our time will ultimately determine our outcome. In essence we reap what we sow. I’ll end this post by saying, we may be dealt a hand that we don’t like, but we can try to play those cards with diligence and dedication until we are done. As long as we do our best, there is nothing to be ashamed of. Akin to basketball, you can’t worry about the previous missed shot; you need to focus on the next shot and do the best you can. Remember that our will and desire can help program our subconscious mind to pursue the things that are otherwise impossible.